The International Award for Young People, India organized an Award Leader Training workshop at Christ Church School, Mumbai on 26th and 27th August, 2016. 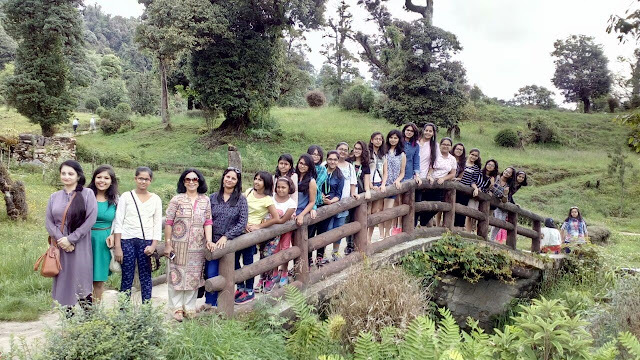 The two-day workshop was attended by 23 participants from different institutions across India, including Jungle Lore Student Expedition, Mumbai; Euro School, Thane; P. G. Garodia School, Mumbai; Jamnabai Narsee School, Mumbai; Sanjeewan Vidyalaya, Panchgani; Naz Foundation (India) Trust, Mumbai; Adventure Edu. Tours Mumbai Pvt. Ltd, Mumbai; and Lady Khatun Marium School, Panvel. Over the span of two days, the participants were given in-depth knowledge regarding the four domains of the programme i.e. Skills, Service, Physical Recreation and Adventurous Journey and also the Residential Project. The participants were also introduced to the technical aspects of the programme, which included Risk Management, Brand Guide and Online Record Book (ORB). Other sessions included the Award Philosophy, Framework, Benefits of the Award and how a volunteer could play a crucial role in the Award programme. Bivujit Mukhoty (Programme Manager) conducted two Award Orientation Sessions for students of Lady Khatun Marium School, Mumbai and Sanjeewan Vidyalaya, Panchgani on 23rd August 2016 and 24th August 2016 respectively. Both the sessions were attended by over 90 students from each school. The focus of these orientations was to introduce the Award Programme to the students who are now eligible for registration. Mr. Mukhoty shared the Award experience and life changing experience of the Gold Award Holders with these students and answered their queries. The International Award for Young People, India organized an Orientation workshop for the principals and teachers of Jalandhar Independent Sahodaya Schools at Cambridge International School, Phagwara. The objective of the workshop was to introduce the Award Programme and its benefits to the principals and other teachers of these Sahodaya schools. The orientation was attended by 19 schools of Jalandhar area, including Apex International Public Sr. Sec. School, Nakodar; Apple Orchard School, Phagwara; Bawa Lalwani Public School, Kapurthala; Cambridge International School, Nakodar; Cambridge International School, Nawanshahr; Cambridge International School, Phagwara; Cambridge International School, Urban Estate, Jalandhar; Cambridge International School, Kapurthala; Delhi Public School, Jalandhar; DIPS, Jalandhar; Doaba Public Sr. Sec. School, Parowal; DRV DAV Public School, Phillaur; IVY World School, Phagwara; Saffron Public School, Phagwara; Sanskriti KMV School, Jalandhar; SRT DAV Public School, Bilga; State Public School, Jalandhar Cantt; and State Public School, Nakodar. The orientation began with the introduction of the IAYP team by Mr. Jorawar Singh, Chairman, Jalandhar Independent Sahodaya Schools. This was followed by a brief session introducing the Award Programme, its philosophy, framework and benefits of the Award by Kapil Bhalla, National Director of IAYP. A thorough knowledge was provided by Bivujit Mukhoty, Programme Manager of IAYP India on the four domains of the Programme i.e. Skills, Service, Physical Recreation and Adventurous Journey and also the Residential Project. This orientation workshop was a first step in the IAYP Award Programme. The workshop imparted an outline and its benefits for young people to the principals and teachers of Jalandhar Independent Sahodaya Schools. The International Award for Young People, India organized an Award Leader training workshop at Ebenezer International School, Bangalore on 5th and 6th August, 2016. Athena Global School, Chidambaram; Canadian International School, Bangalore; Ebenezer International School, Bangalore; Oakridge International School, Bengaluru; Euro School, Whitefield, Bangalore; Euro School, Chimney Hills, Bangalore; Euro School, Kogilu, Bangalore; Karaumbiah's Academy for Learning & Sports, Gonikoppal; and The High Range School, Munnar. The workshop began with an ice- breaking session where the participants introduced themselves and shared their expectations from the workshop. This was followed by an introduction to the Award, and sessions on its philosophy, framework, benefits of the Award and how a volunteer can play a crucial role in the Award programme. The participants were given in-depth knowledge regarding the four domains of the programme i.e. Skills, Service, Physical Recreation and Adventurous Journey and also the Residential Project for the Gold Level. The training team also made them familiar with other important aspects related to the Programme, which included Risk Management, Online Record Book and Brand Pack. Rose Goel, a Silver Award participant from Uttam School for Girls, Ghaziabad, shares her experiences of the Adventurous Journey. The IAYP Adventurous / Exploration journey was an eye opener for us that changed our perspective towards life, culture, happiness, different nations and their uniqueness. Right from planning and preparing for journey, learning team spirit, exploring places, coordinating with mentors and friends, to moving out of comfort zone, overcoming cultural barriers, understanding culture, people and people were some of the things which this journey taught us and thus proved to be an experiential workshop for us. We were all excited about our Adventurous Journey as we headed for our visit to Bhutan, which came as a surprise during our summer vacations in 2016. From the scorching hot weather of North India we reached Bhutan, a stunning Buddhist country sandwiched between two political giants -- India and China. Our visit to the country offered us a complete get away from our monotonous and stressful lifestyle. It was an exploratory journey where we understood and witnessed what makes the distinctive culture of a nation. Bhutan, often considered as an offbeat destination by many, surprises everyone with all that it has to offer. Exemplified as one of the first countries that adopts the concept of Gross National Happiness to measure its growth in terms of happiness quotient, where people’s happiness comes first, and then comes money, was interesting for us to take a note of. It was encouraging to observe that in spite of being a constitutional monarchy, the people were extremely happy with the government and the king. That was evident from the hospitality of the locals and the playfulness of their young children. Both the rich and the poor enjoy equal status. Even the king of the country does not live in a luxurious palace but a small cottage, just large enough to accommodate his family. The love for The King and the Queen could be spotted everywhere, from tiny frames in shops and houses, to large posters on the roadsides. Unlike other countries, the people of Bhutan seemed to have been less influenced by the west. Their love and respect for their nation, the king and their culture generated reverence in our heart for the people and this nation. We found that it was a place where the women were not born to be confined to houses but shoulder equal responsibilities as menfolk, be it in big hotels, airports, roadside shops, hospitals or other places. To see this status and regard for women was inspiring for all of us. Besides rich cultural heritage, the country also boasts of its magical Himalayan kingdom, which is full of greenery, with beautiful landscapes dotted with bright flapping prayers flags and forests cloaked in clouds, thick with the scent of pine, garlanded with peach blossoms and with a remarkable abundance of flora and fauna. This all is a result of strong constitutional obligation and efforts made by the people to preserve and protect the environment, where at least 60% of the land is under forest cover. Added to this, is the fact that Bhutan is the only country in the world that has been declared carbon negative. Like the environment, the Bhutanese people also looked impeccable as they were always dressed in their traditional attire -- Gho for men and Kira for women. They wore it with pride and carried it with style. An important aspect that caught our attention was the use of public transport by people and very few private cars on the road, which resulted in smooth and well managed traffic. Apart from gathering all this knowledge and observations we also understood that Bhutan is undoubtedly one of the most ethnic travel destinations where everything from the layout of the building to the god figures in monasteries was dictated by traditional Buddhist artworks. Religion pervaded all level of life in Bhutan, resulting in peaceful temples, red robed monks, deities and legends. Some of the best places visited by us included the Buddha Dordenma Statue located in the capital, Thimphu. A scenic fortress Monastery, Punakha Dzong is framed by the confluence of two rivers and jacaranda trees in Punakha and the iconic Tiger nest monastery with golden pinnacles at its rooftops in Paro. It goes without saying that the country was truly a slice of Himalayan heaven and was an eye opener for all of us. We realized the importance of contentment in life, how to be happy with simple things and be proud of one’s own culture and heritage. As a token of regard for this visit, we took a pledge to do our duty to protect and conserve the environment and save mother earth. We are extremely happy and grateful to our school and IAYP for giving us this opportunity to have such a wonderful learning experience. To appreciate and regard a nation as an outsider and then to look and admire what makes our country unique and distinctive was something that we all learnt. The International Award for Young People, India organized an Award Leader training workshop at the Award Training Center, New Delhi on 28th and 29th July, 2016. The objective of the workshop is to make the potential Award Leaders from the participating schools or Open Award Centres develop a comprehensive understanding of The Award Programme and how it functions. The two-day workshop was attended by 24 participants from different institutions across India, including Aga Khan Academy, Hyderabad; Dikshant International School, Haryana; NAZ Foundation, New Delhi; The Doon School, Dehradun; Amity International School, Gurgaon; Kothari International School, Noida; Sunbeam School, Varanasi; Calcutta International School, Kolkata; The Indian Public School, Dehradun; Takshila Educational Society, New Delhi; Partap World School, Punjab; Mayoor School, Ajmer; MGD Girls School, Jaipur; Sangam School of Excellence, Bhilwara; Great Rocksport Pvt. Ltd, New Delhi; Vidhyashram International School, Jodhpur and DLF Public School, Sahibabad. The workshop began with an ice- breaking session where the participants introduced themselves and shared their expectations from the workshop. This was followed by an introduction to the Award, and sessions on its philosophy, framework, benefits of the Award and how a volunteer can play a crucial role in the Award programme. The participants were given in-depth knowledge regarding the four domains of the programme i.e. Skill, Service, Physical Recreation and Adventurous Journey and also the Residential Project for the Gold Award Programme. Furthermore, they were made familiar with the technical aspects of the programme, which included Risk Management and Brand Pack.